Today ended with an easy flow of patients and goodbyes to the friends who come together to volunteer their time and talents to give back or pay it forward or fill a calling. 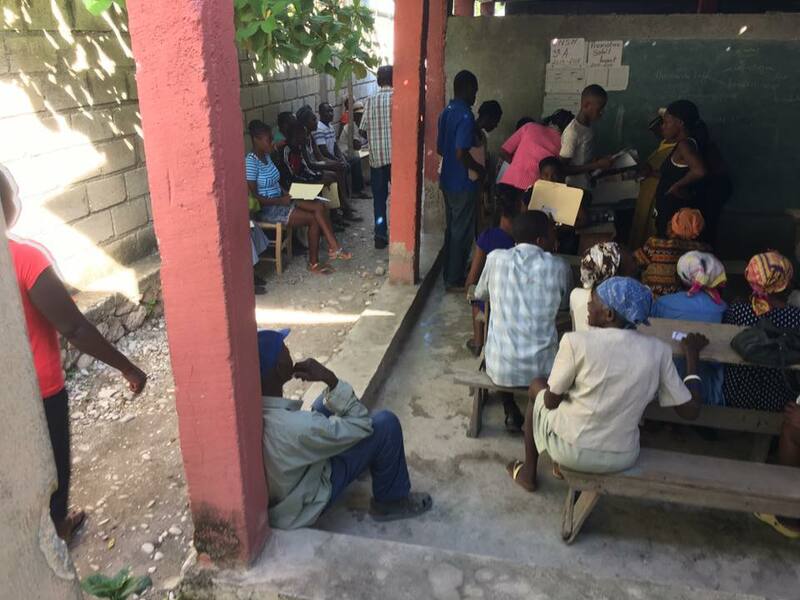 Many of the volunteers are Haitian Americans that come back to translate or triage or feed volunteers or house them. 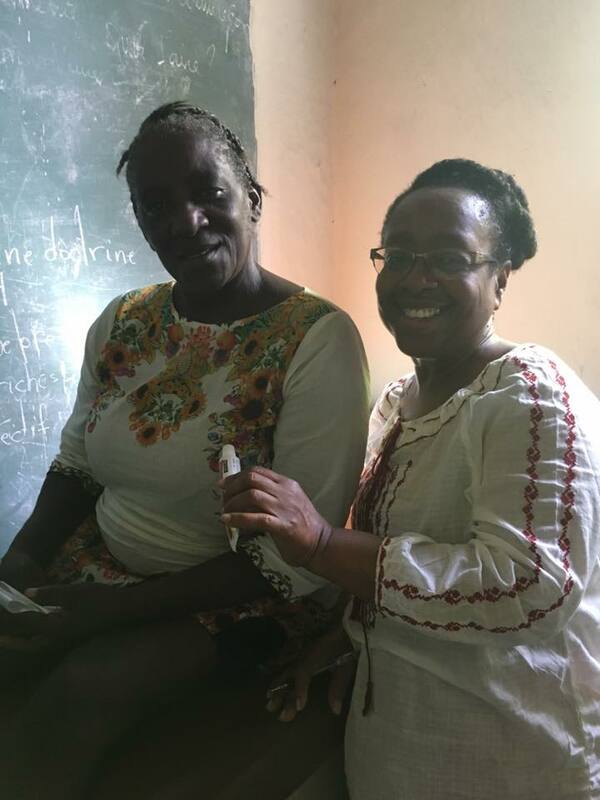 We have volunteers that are local Haitian friends who just want to help their communities. 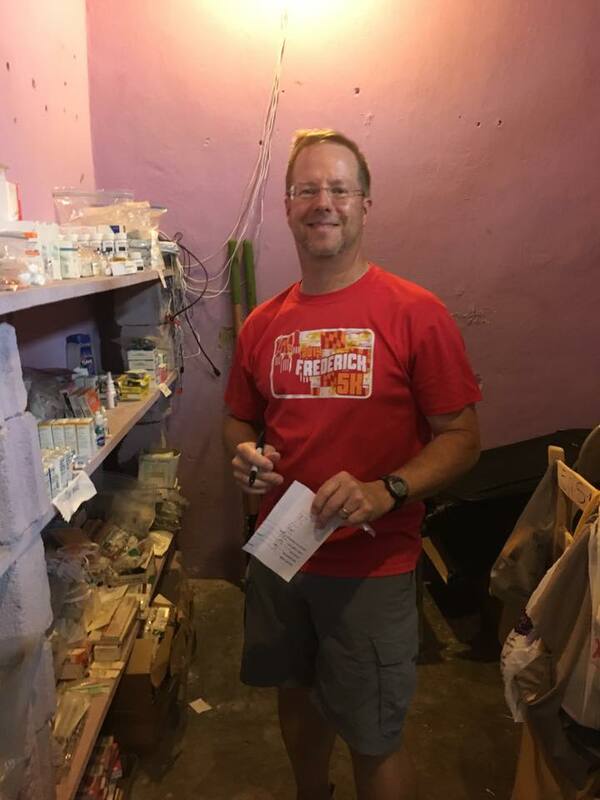 We have volunteers on The Heart of Medicine board of directors that dedicate their time to organizing, planning, pill packing and go above and beyond to assure all of the details are in place so we can be as effective as possible for our trips. I have dear friends and colleagues who volunteer their medical talents, vacation time, airline tickets, etc. to serve a community they may have no connection to but leave with a connection they never would have expected. Then, there are the heroes like you that send donations to make our mission possible. 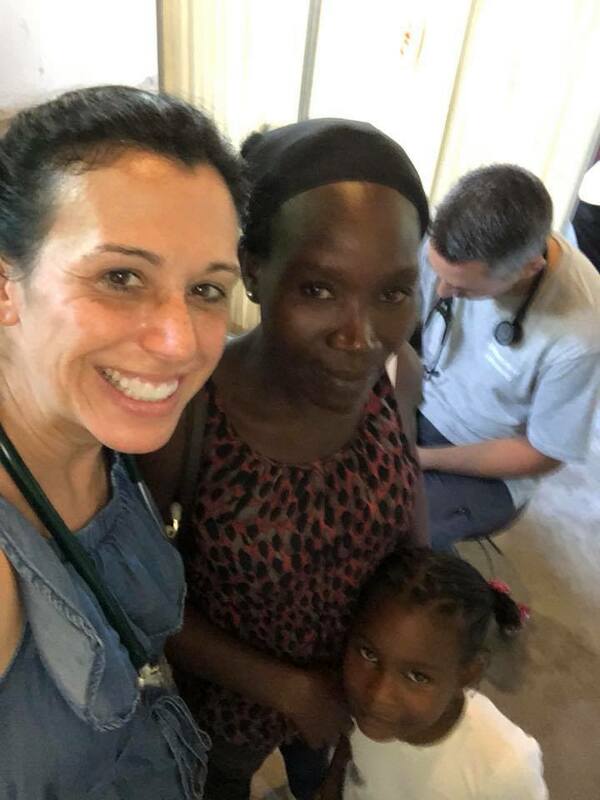 From medications purchased to monetary donations to much needed supplies you made it possible to help almost 500 strangers get the medical care they need. Many of you have sent words of encouragement and support that has buoyed us through long days and sleepless nights. For all of you heroes, I send my love and appreciation. Tomorrow we head back to the U.S. feeling grateful for our safety, our friends, our ability to heal, and for all of you. Bon Nwi! Good night from Haiti. I’ve seen some beautiful places in Haiti, but Breau (pronounced “ba-wo”) has to be one of the fairest of them all. 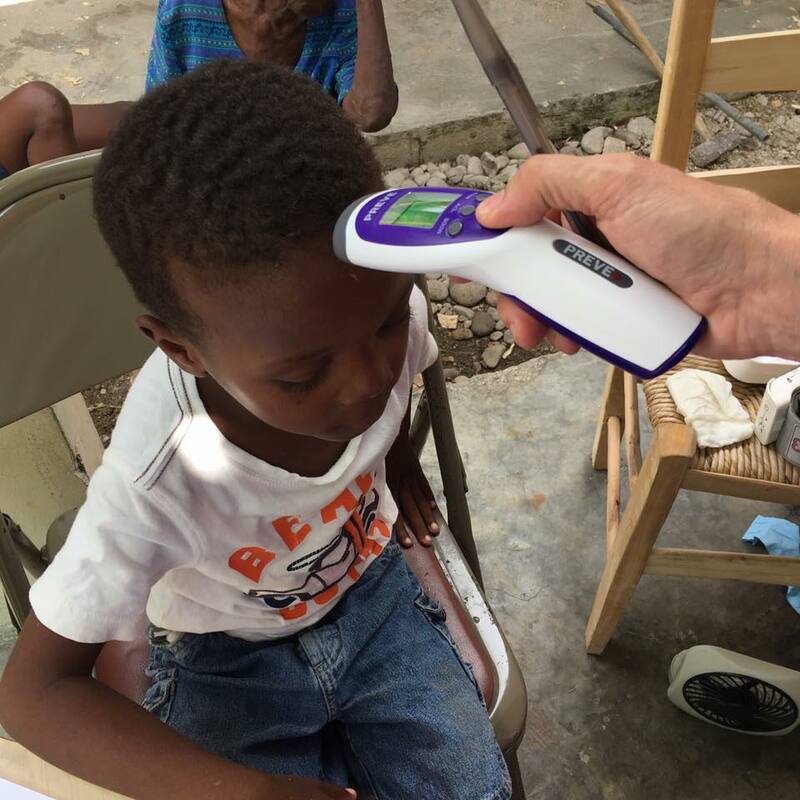 Today we did a mobile medical clinic approximately 2 hours away from Marigot. I started off feeling tired and sluggish (always a warning sign for me -a total morning person- to slow down). I tried to plow ahead by packing up the clinic supplies for the change of venue. I had some breakfast at Gabby’s but felt ill with every mouthful. 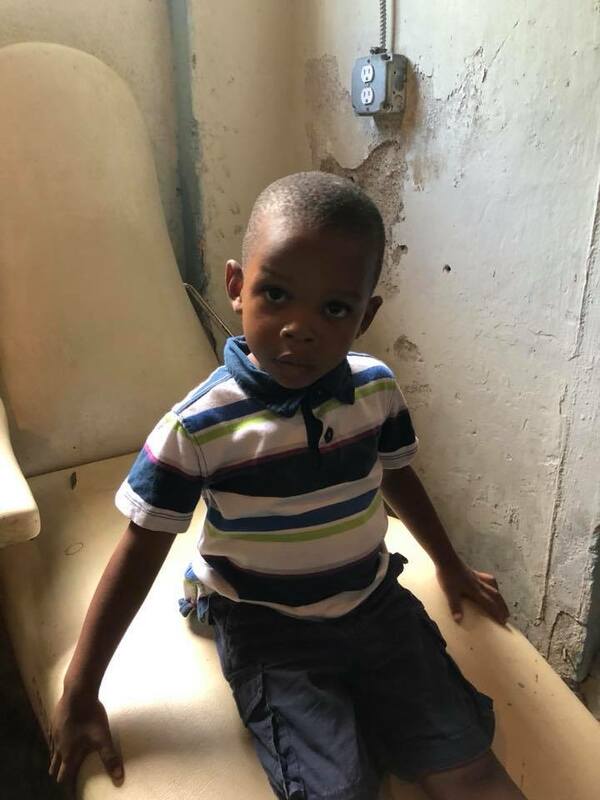 I’ve been doing medical trips long enough in Haiti to know I had a stomach bug. I started sweating profusely as we drove out of town. Jeremy gave me anti-nausea meds and Greg told me stories which helped to distract me. I saw the scenery turn from busy streets to “Mountains Beyond Mountains”. When we arrived we were greeted by the patients with big smiles. The clinic was held on the site of a church that was destroyed in the earthquake. The minister and church members were incredibly hospitable. I, unfortunately, was growing a lot more ill. I managed to see patients for about two hours before I needed to lay down. The minister had a bed carried from his home to a shady spot outside of the patient area for me to lay down. Greg recognized the dehydration right away and gave me more water, anti-nausea meds and antibiotics. Sonson had coconuts cut down and I drank right out of the coconut. Even as I was unable to see many patients, the team managed to see about 150 patients in just a few hours. They were a-m-a-z-i-n-g. My favorite patient of the day was a woman who was nine months pregnant. When she sat down, I smiled at her and the cute little boy next to her, but she didn’t smile back. She hadn’t felt her baby move in three days. She had multiple children (so no first pregnancy jitters). She was scared. I felt her fear and it took me back to my pregnancy with Braden. I was in the hospital no less than 13 times for preterm labor and complications. During one of these visits, Braden wasn’t responding to a fetal stimulation test, and I feared the worst. The doctor, on the other hand, offered me a chocolate bar. She said we would recheck his test after I had eaten the bar. A little while later, he was moving like a jack rabbit and my fears evaporated. So, I said a little prayer and reached into my bag and found a chocolate bar. I must have sounded crazy telling her to eat the bar, as my doctor had done. I kept examining her for other signs of maternal complications but she was healthy on exam. While palpating the position of the baby, I felt it, a very strong kick from her baby to my hand. The mom and I looked at each other and smiled. I have had some difficulties in my life, but it’s moments like that when I am sure there is a reason. After the clinic was over, the ladies of the church made a delicious meal of traditional Haitian foods. I could only eat a little, but I have some of Greg’s pictures below. I am going to get some much needed rest. Goodnight from Haiti. I never imagined that a patient would drive himself to the clinic to be treated for a gunshot wound, but nonetheless a man bleeding from his abdomen and elbow appeared on our doorstep. He was on the verge of fainting but stayed conscious while Jeremy explored his wounds and assessed his injuries. I kept talking to him while I searched for any additional injuries. He said he was trying to get a gun off someone in town when it discharged. I didn’t ask too many other questions as the violence did not appear to have followed him to the clinic. There are definitely advantages to traveling with Emergency Medicine PAs. My brain is equipped for juggling multiple diseases and theirs is created for immediate action. Thankfully, we had suture material and supplies to care for wounds (thank you angel donors!). His abdominal wound was a graze but his elbow definitely took some damage. Jeremy cleaned the wound and sewed him up and then the patient left as quietly as he appeared. Aside from that excitement, we had a day full of viruses illness, hypertension and follow-ups. The pediatric cases I was worried about yesterday did a complete turnaround as only children seem to do. We saw another 90+ patients today and felt sufficiently exhausted from almost 300 patients in three days. Please note: There is a photo of the bullet wound in repair so please avert your eyes if you are squeamish. Sunsets are loved for the beauty and relaxation they offer and the way they usher in the end of a, sometimes, long day. We also use the word “sunset” to describe the ending of a part of a time in our lives. This evening held a beautiful sunset in Haiti but it also held the weight of mourning for a man who had died during the early morning hours. 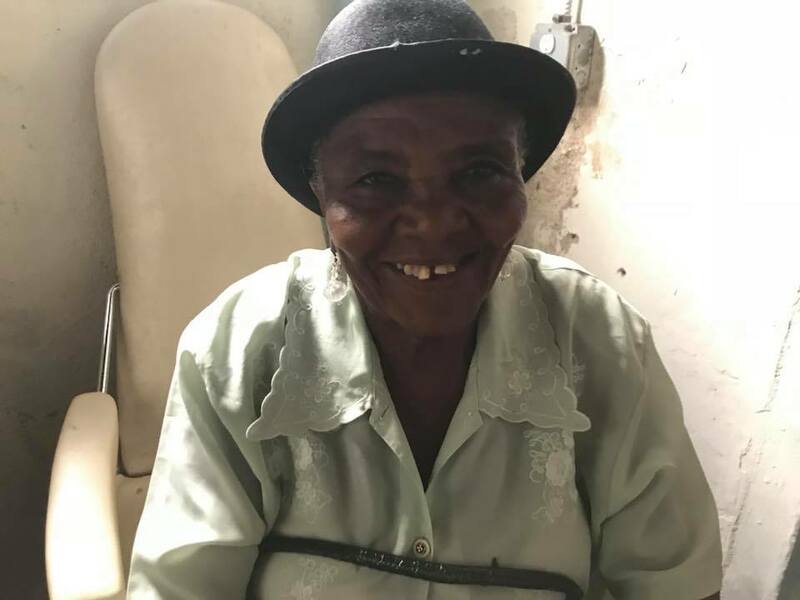 As we walked to Gabby’s for breakfast this morning, I could feel a quiet that I have experienced in Haiti that can only be described as ”heavy”. The harbinger of a riot around the corner or a death. As we turned the corner, the heaviness grew and I saw people standing around and the familiar wailing from a home. All eyes directed at the mourners, I stopped saying “bonjou” and fell quiet as we passed the home. Gabby explained that a man had fallen from a tree and died. He was about my age and probably believed he had many years ahead of him. I hope that I have my best years ahead, but we really never know. We had a good day at the clinic but too many babies with high fevers. The pall of the man’s death made me fear for these vulnerable little ones even more. As we walked back at the end of the day, I heard the wailing behind me. I turned and it was the man’s mother. She was wandering the streets alone. I wrapped my arms around her and walked her home. As we walked, she had a rhythmic cry and words that came deep from her broken heart. Neighbors watched as she neared her home with tears in their eyes and gathered in the street once again. When we returned back to Son-Son’s home, the wailing had faded in the distance and a beautiful sunset colored the sky. 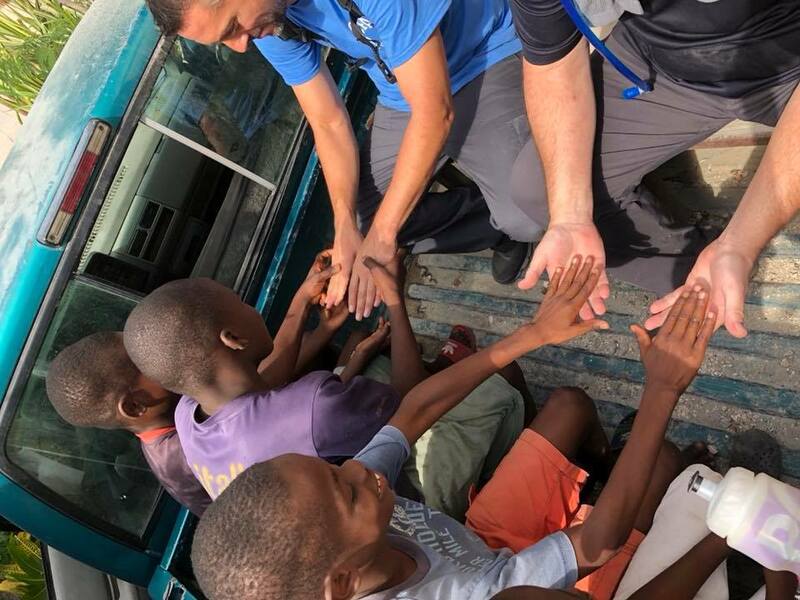 Yesterday we arrived at Port-Au-Prince without a hitch. As we drove through the mountains, our stomachs braved the hairpin turns. Our driver, Ron, never ceases to amaze me. Somehow he managed to to eat lunch - spaghetti - while driving a stick shift through the mountains. (I have a picture below). When we arrived at Son-Son’s home, it was like a home reunion. Lots of hugs from good friends were waiting for us. 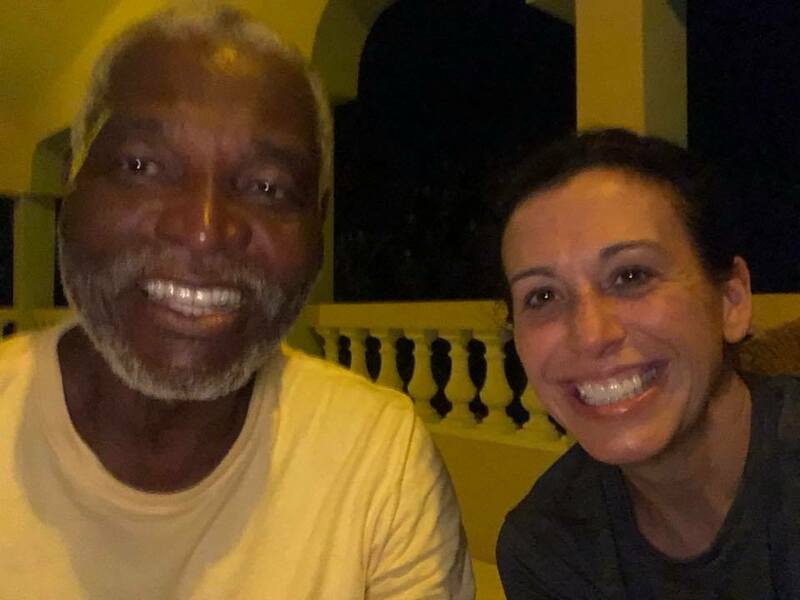 We had dinner shortly after we arrived at Gabby’s home which was a delicious traditional Haitian meal - lentils, rice, chicken, avocado, fried plaintains, and a leafy green vegetable. The banter between Greg and Gabby reminded me of Randy and Brenda whom I miss greatly. With full bellies, we prepared for the first day of clinic and went to bed early. I slept like a rock. 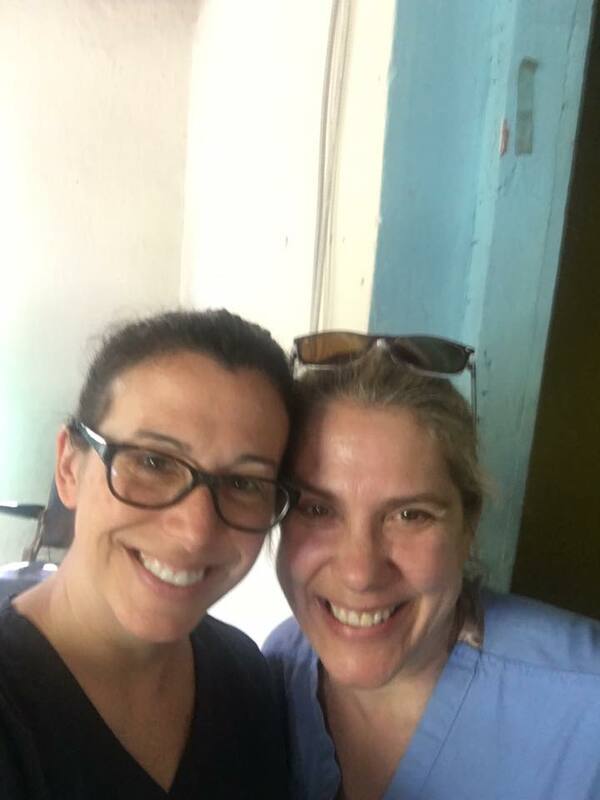 The first day of clinic started, as always, a little frenetic as we sorted meds and greeted about 100 patients that were prepared to wait all day to be seen. There were a lot of familiar faces, hugs and kisses. Seeing the children growing up just reminded me of why love primary care. Providing healthcare to families is such a gift. You get to be a part of their joys and sorrows and have a window into their lives that other specialties never see. 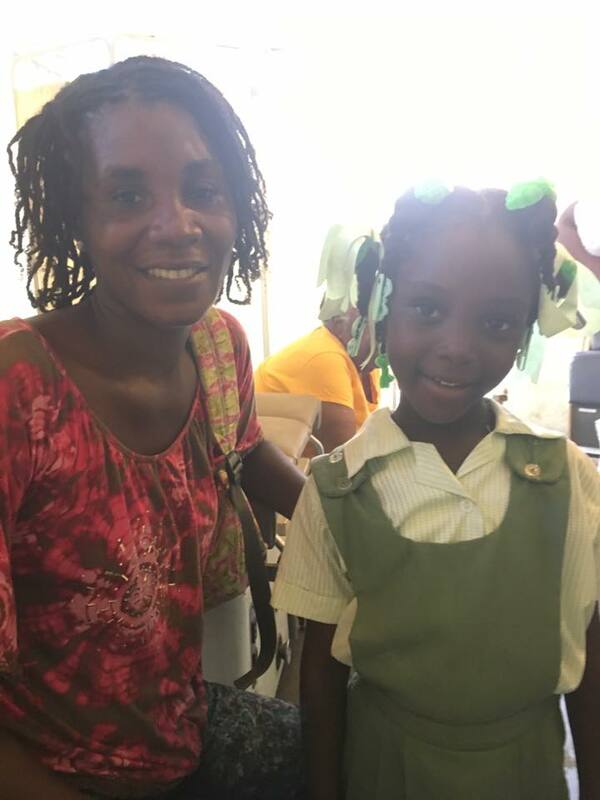 I got to see the mom whose life was saved by the generous donations from many of you that provided her a chance to go to a hospital for a life-threatening illness. Her baby was 12 days old at the time. 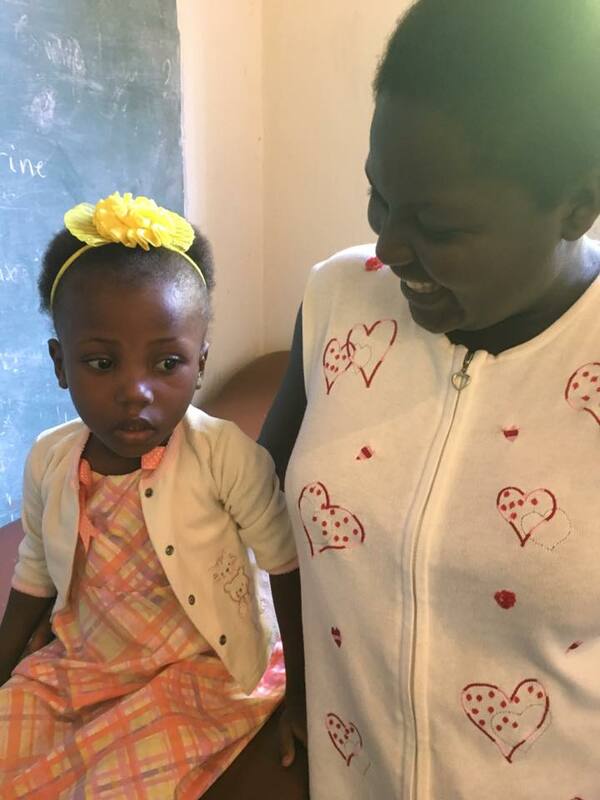 Today the mom came into the clinic and hugged me with a joy I cannot explain and presented her beautiful little girl who is now 1 year old. I have a picture with the family below. Another one of my favorite patients, an elderly woman, came in and held my hand for awhile before I started her exam. This is why I went into medicine. We often hear the phrase that "laughter is the best medicine." It usually refers to a friend, family member, or patient that just needs joy in their life to pull them out of a low point (physical, emotional...) As I was surrounded by laughter from children and familiar patients who made me snort with laughter, I began to think about how joy affects me as a healthcare provider. I think that I am better for my patients when I laugh. Joy is as infectious as any disease I've ever encountered. Although my blog will be short this evening, I wanted to share pictures of the people who made me smile (and laugh) today. Perhaps, it will be "good medicine" for you as well. I have told patients to go to the hospital on numerous occasions throughout the years when I felt their lives were at stake. If they went to the hospital, I knew an emergency surgery or infection requiring IV antibiotics would be addressed immediately. No questions asked. There have also been times in Haiti when I have made the same recommendation. Very infrequently do patients opt for care in the hospital. Today I found out why. The day started with the regular cases of high blood pressure, diabetes, viral illnesses and acid reflux. 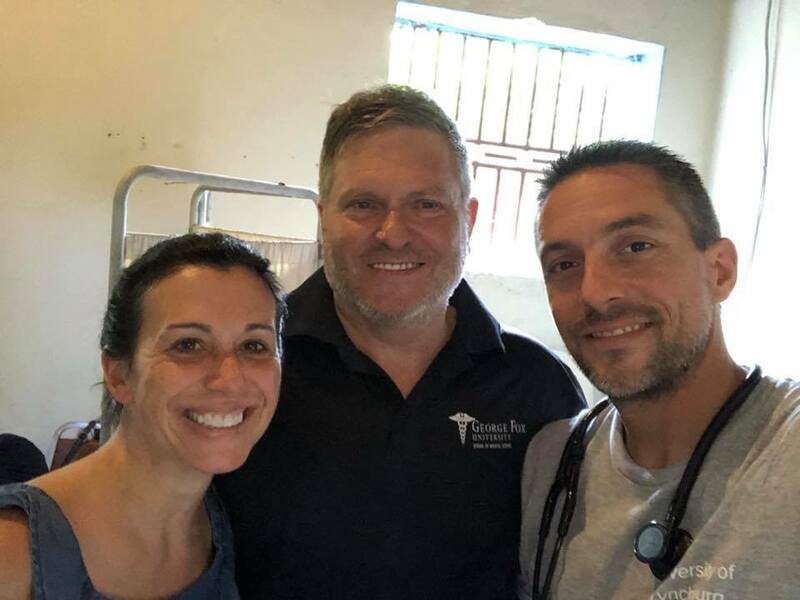 A reporter from the Voice of America Kreyol came to the clinic and interviewed myself and my friend, Kettlie, regarding our two organizations working together in Haiti. Even the baby that was deathly ill last year returned but he had gained 1.5#. He was a treasure to hold. A little after noon, however, the winds shifted and the easy stuff turned complicated. The woman with the aneurysm had slightly lower blood pressure, but no real improvement. Then, the mother that was postpartum returned. She was sweating profusely and breathing fast. Her vitals were completely normal otherwise. Her temperature, blood pressure and blood sugar did not reflect the woman in distress before me. I can't explain it it, but I felt that she might die (even though "on paper" she was fine). I told her husband that she needed to go to the hospital. He looked confused. I offered to go with her and he proceeded to flag down a Tap Tap. Before we got loaded in, a friend came by and drove us in his car. The hospital was about 20 minutes away. When we arrived, I explained her presentation yesterday, what medications she was taking and she was immediately taken to a room. A doctor came out of the room with a piece of paper. Written on the paper were three medications (two were IV meds). They felt she was septic. Now, I was confused. Why were they giving us a list when she could be dying??? So my friend explained that the hospital wouldn't treat her until we purchased the medication. The hospital pharmacy was closed and we waited for about five minutes for them to return only to tell us they didn't have one of the medications. So, we went to a money changer to get Haitian gourdes and search for another pharmacy. After we returned, the nurse informed us that we needed two more medications. So, off we went again. After two hours we finally had everything we needed to care for her. They expect her to be in the hospital for about one week. 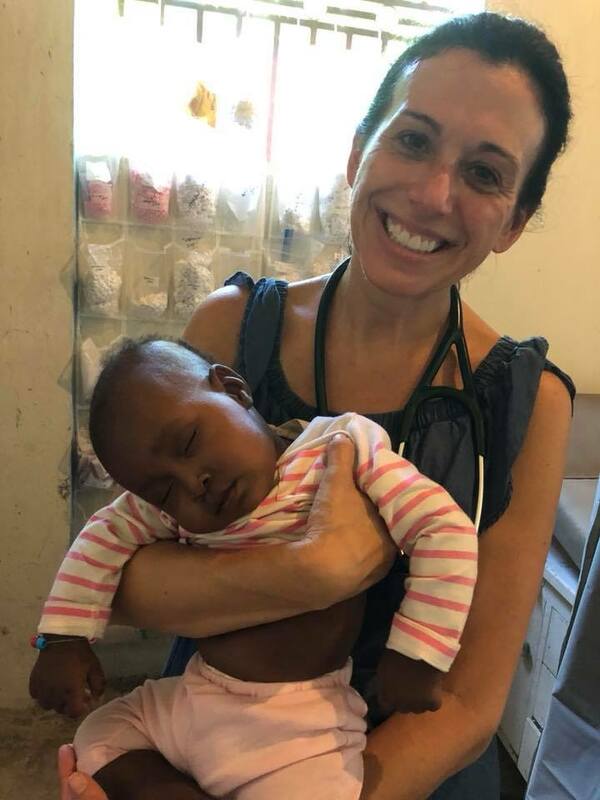 If it weren't for the amazing people supporting this trip, and a nagging feeling in my gut, a 13 day-old baby would no longer have her mother. Your donations allowed us to save a life today. Thank you so much. The first day of clinic is always about figuring out what works and what needs help. We were a little short-handed which leads to increased pressure to try and keep up with the patients. In the midst of the stressors, we were being hugged and kissed by the lovely people we have had the joy of serving over the past couple of years. In the moment, things seem so hard but looking back on the day it was actually pretty amazing. I had the pleasure of handing out toothbrushes to children while Randy spoiled them with candy. The great thing was that both made them so happy. When I saw them walk in with a coloring book, it made me grin thinking of the Girl Scouts who worked so hard to put those smiles on their faces. Today was a little crazy with a lot of hypertensive urgency and crisis. I had a woman with BP of 193/127 and severe abdominal pain. Sure enough, I found a large abdominal pulsatile mass on exam with a bruit - a possible aneurysm. She was older and not interested in trying to make it to the hospital so all I could do is try metoprolol and have her follow up later in the week. Probably 60% of my patients had a diastolic pressure over 110 (for non medical folks, that's about 30 points higher than what it should be). 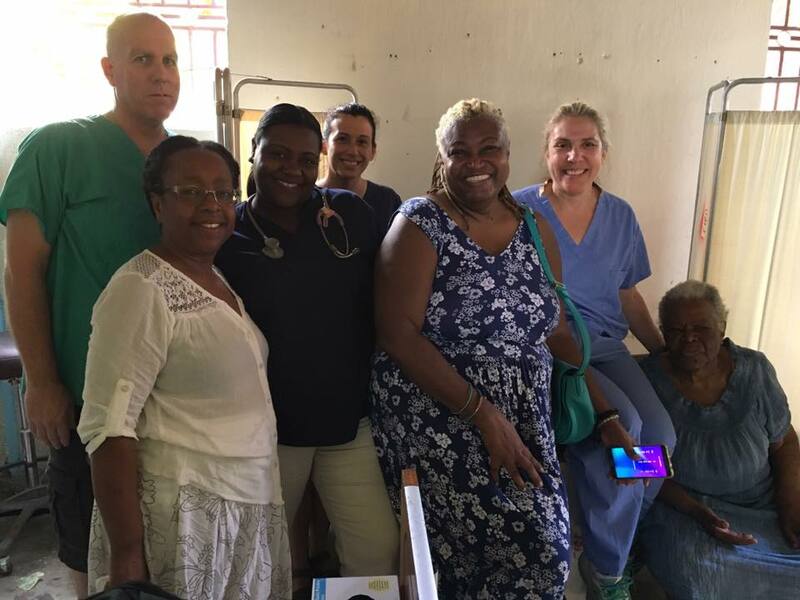 I would love to hold some educational sessions on a future trip to work with community leaders and involve them in lowering blood pressure through knowledge and community support. 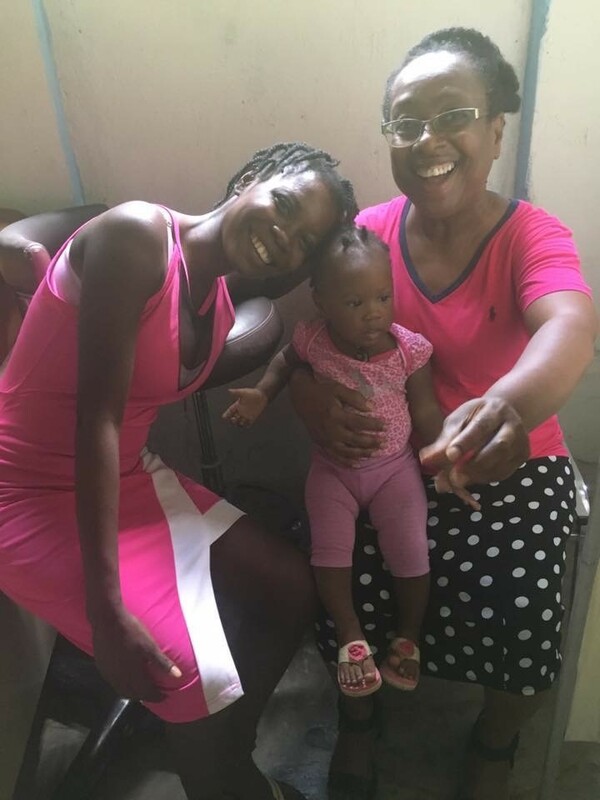 I also had a mother who was 12 days postpartum with abdominal pain after having a cesarean section. She had a 3cm abscess adjacent to the surgical site. I prescribed a strong antibiotic and hoped for the best. As weak as she was from her infection, she still brought her baby in for me to examine. This baby was as beautiful as they come. We have to get mama well ASAP. The day ended with an interview with the Voice of America Kreyol. Thank you so much Sandra Dominique Lemaire! 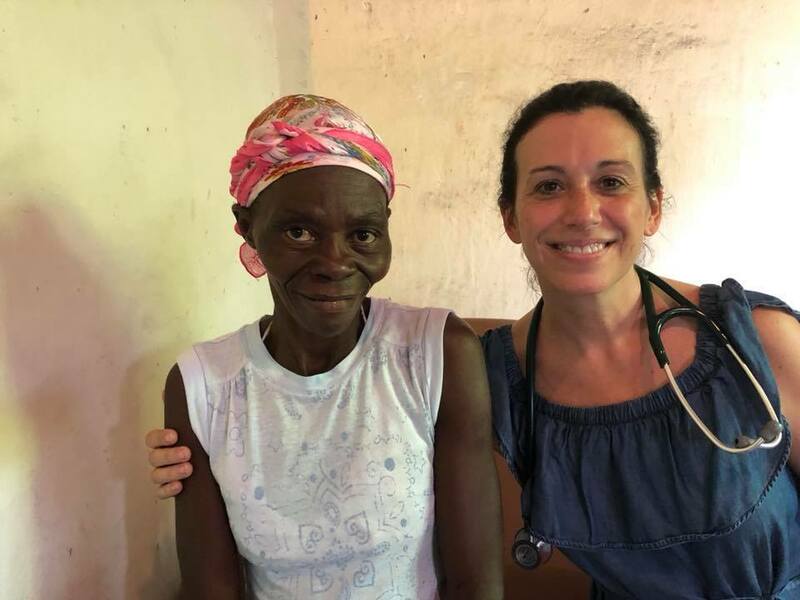 I had the chance to talk about my experiences practicing medicine in Haiti, The Heart of Medicine, and all the reasons I keep coming back. I will send out their link once it is released. When your heart connects to your calling, there can be no denying it. Even as our driver maneuvered the hairpin turns in the mountains between Port-au-Prince and Jacmel, I felt absolute peace today. I haven't felt that deep relaxation in so long. As I watched the sunset over the mountains, I felt my head sink into my seat and the tension lift from my chest. And as I drifted off to sleep, I thought about my friend Richard seeing a place he has supported from a distance, for the first time. 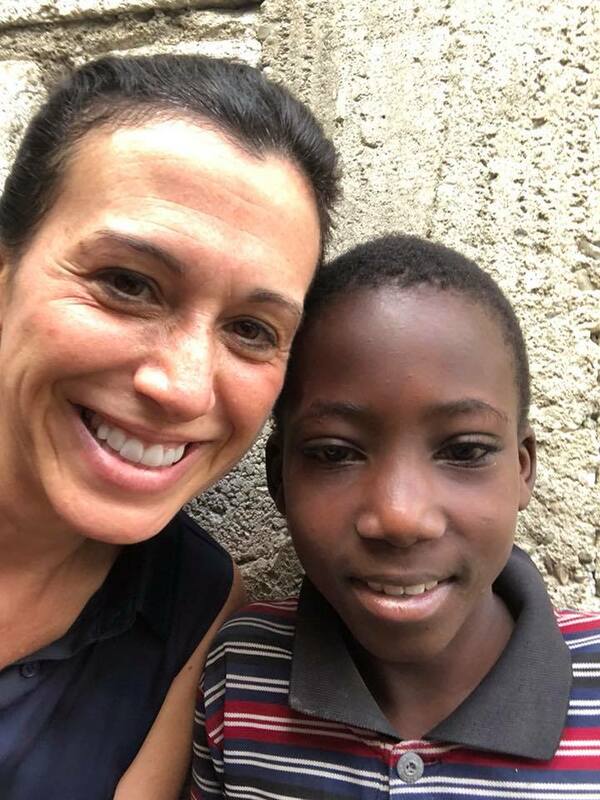 His first tangible connection to Haiti. I thought of the security guard who has helped me through customs for the past few years, thus helping hundreds of people get medication, and finding out his wife had passed away only two months before of breast cancer. He showed me pictures of his daughter and wife. He was connecting in a way he hadn't before. I thought of my friends coming together again - Brenda, Randy, Kettlie, Gabby, and Son-Son. As we laughed and teased each other, I marveled at the deep connections we already made and looked forward to more adventures this week. 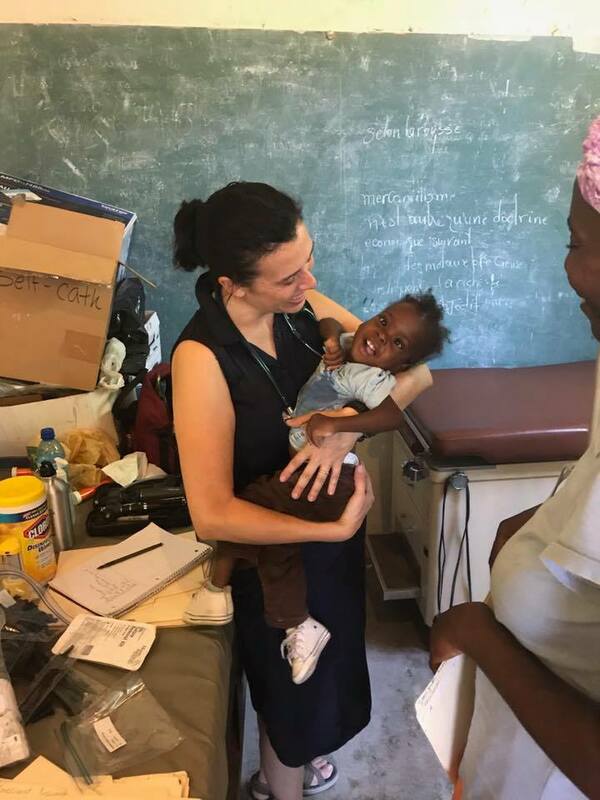 Tomorrow starts the first day in clinic and I want to thank all of you for connecting the community of Marigot, Haiti with medical providers, medication, hope and healing.